Well, not on purpose, anyway. Be careful, though. Never can tell. We toss stuff in here if it fits and doesn't have any place else to go. Let's dig in below the surface. Herbert Adams Gibbons told us in 1923 what to expect from the Treaty of Versailles. He was an early twentieth century journalist and author, most famous for exposing the Armenian genocide by the Ottoman Empire. 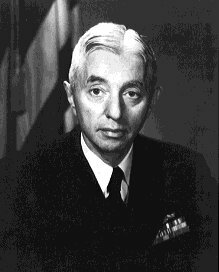 He didn't think much of what passed for diplomacy and statecraft, as practiced by the post-war victors of WW I, and predicted, in the last chapter of his book, "Europe Since 1918", the alignment of interests among three of the losers at the Paris Peace Conference: Germany, Italy, and Japan. The picture links to page 599 of the book. It is rare to see this kind of prescience in a book of popular history. Endless Amusements from the nineteenth century. Here is more stuff from the Public Domain. This book from 1820 gives us 400 entertaining experiements for the entertainmenet and education of youth. What is more central to the human intellect than list making? Here is a collection of public domain lists on 17 different historical topics. 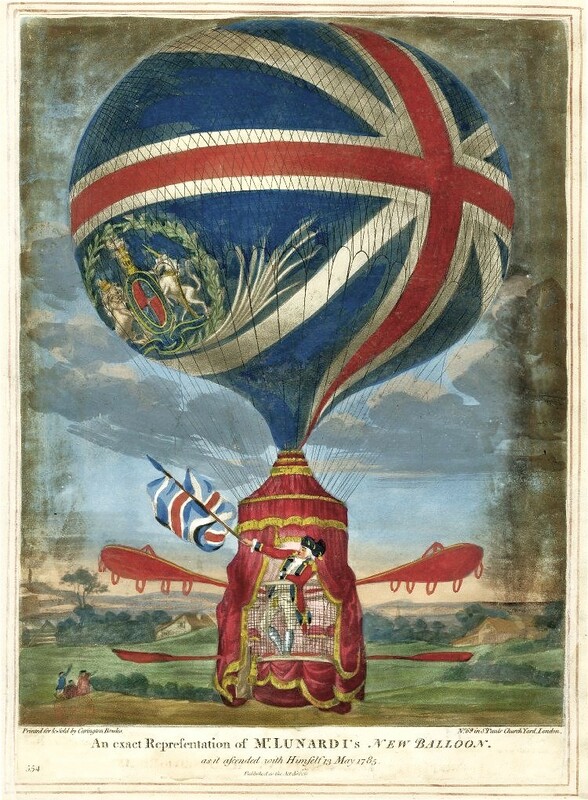 Thomas Baldwin’s Airopaidia (1786) is a remarkable insight into the early days of ballooning. Most remarkable are the illustrations he published of aerial views seen down through the clouds. France was the powerhouse center of culture and science in the 18th century, but England had its adventurers also. Baldwin wrote his account after ascending over Chester, England in 1886, in a balloon built by Italian diplomat, Lunardi. Here is another essay that attempts to let us 20th century denizens understand the novel impact of seeing the earth from above for the first time. 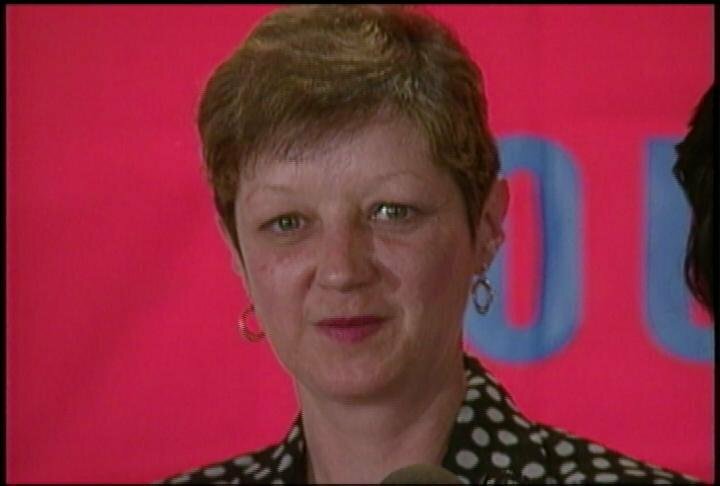 Norma Leah Nelson McCorvey (September 22, 1947-February 18, 2017), known by her legal pseudonym "Jane Roe," was the plaintiff in the Roe v. Wade lawsuit that led to the 1973 Supreme Court decision finding bans on abortion unconstitutional. Ms. McCorvey's childhood was a tragic mixture of absentee father, alcoholic mother, and failed government intervention. She remembered her incarceration in the State School for Girls as the happiest experience of her childhood. During her third pregnancy in 1969, she was put in contact with attorneys seeking to overturn Texas anti-abortion laws. She signed an affidavit, received the Jane Roe moniker, but didn't otherwise participate. Her daughter was two and a half by the time the Supreme Court found in her favor. Two decades later she embraced the pro-life movement. Ms. McCorvey was as conflicted as the rest of the nation on a subject forever linked to her. If she were royalty she would need a Shakespeare, but in the circumstance perhaps she will find her Dickens. David McCullough's recent book, The Wright Brothers, tells us some things we may not have known before about the famous brothers. Their occupation, bicycle makers, often mentioned as an ironic aside, was likely fundamental to their success. Bicycles had just lately, through experimentation and practical engineering, overcome a major stability problem. Getting the wheel sizes and balance characteristics right took a lot of skinned knees and puzzling. The Wrights recognized the problem of heavier-than-air flight was also a problem of stability. They noticed how birds adjusted and tilted their wings and realized flight required controllable air surfaces. They concentrated on building a glider, after which a motor could be attached. Their more highly credentialed competitors reversed those priorities and either gave up or copied the Wrights. By the way, you'll want to see the Wright Brothers Negatives, held by the Library of Congress. The Austin High Gang, had nothing to do with Texas. They didn’t ride motorcycles, as far as we know, and they didn’t terrorize anyone. 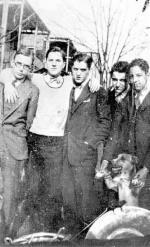 They were a group of buddies who went to Austin High School on the West Side of Chicago and, after being inspired by the New Orleans Rhythm Kings, hung out on the south side of Chicago where Joe Oliver and Louis Armstrong were creating twentieth century music. The WSJ recently reviewed a re-release of music organized and recorded by two of their luminaries, Bud Freeman and Eddie Condon, in an 8-CD box set of their “Complete Commodore and Decca Sessions,” (Mosaic). The first shots fired by the United States in World War II were at Pearl Harbor, of course, but they weren’t fired at Japanese Airplanes. 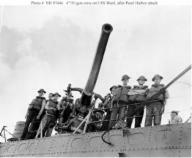 The gunnery crew pictured here, on the Destroyer Ward, a World War I relic brought out of mothballs by President Roosevelt, fired on a tiny, two-person submarine as it attempted to enter the harbor. They sank the intruder in 1,200 feet of water about an hour before the Japanese Zeros swarmed in and carpeted the area with carnage. The Ward’s Captain reported the incident but it didn’t spoil the Japanese surprise, for reasons forever debated. The last member of the gunnery crew, Alan Sanford, the gun’s “hot shell” man who lifted spent cartridges from the gun after firing, has been frequently interviewed over the years, and recently died and was buried at Arlington. You can see one of those mini-subs at the Nimitz Museum in Fredericksburg, Texas, and learn more about their use at Pearl Haror, here. 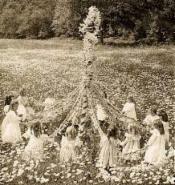 May Day has been with us a long time. It has pagan roots and modern flourishes, like most of our holidays. Grover Cleveland gets some serious attention from historians for creating our modern political uses of the holiday. What David Roberts calls the Old Ones, lived in the American southwest from about the time of Rome’s Constantinian Dynasty (313 to 363 AD), or maybe a little before, to about 1300, when the court of King Edward I, aka Longshanks, was playing creag, a precursor of cricket. 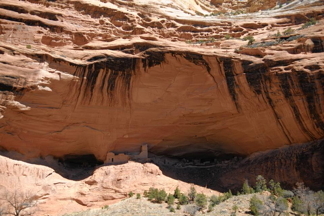 About that time the society that occupied Mummy Cave and other living quarters in current Arizona and New Mexico, suddenly abandoned their historic homes. Roberts has made himself useful by exploring these obscure locations and capturing, with as little destruction as possible, the sense and flavor of their civilizations. Suppose you wrote a book that invented a character recognizable to everyone on earth, in fact, a character with whom nearly everyone can identify. 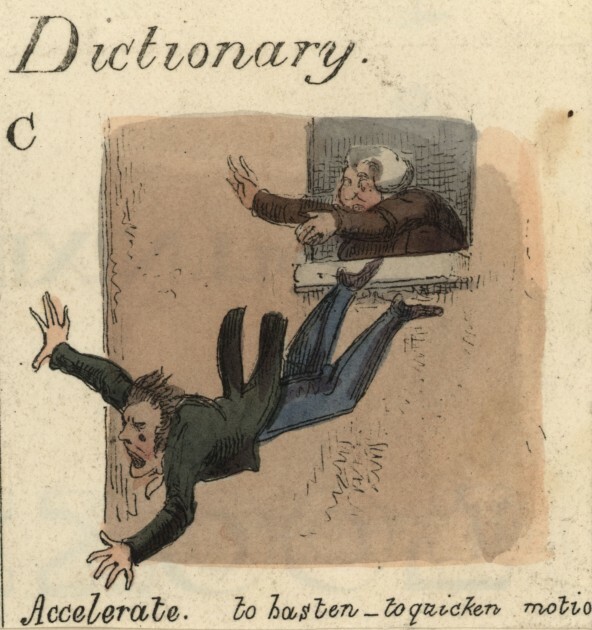 Suppose the character were so universal his name became a word in the Oxford English Dictionary. Suppose the character and the word outlived the memory of the author, and even outlived its own memory. That would be George Weedon Grossmith, author of “The Diary of a Nobody,” recounting the Pooterish life of Charles Pooter. Over one hundred years after the author's death, his work is still a force in literary society. He has entered the cyber age in blog posts. He survives best in the old country, but he is not strictly an English taste. He appears on our side of the pond in The New York Times and in the Wall Street Journal. Pooter is a nobody, and he is everybody. That is the conceit. What do you think? Is he you? I'm not committing. Can’t write? Don’t worry. Free advice abounds. Which advice do you follow? Sorry. You’re on your own on that one. Let's start with this from the Times Literary Supplement. Contrast that with something from Frank L. Visco. 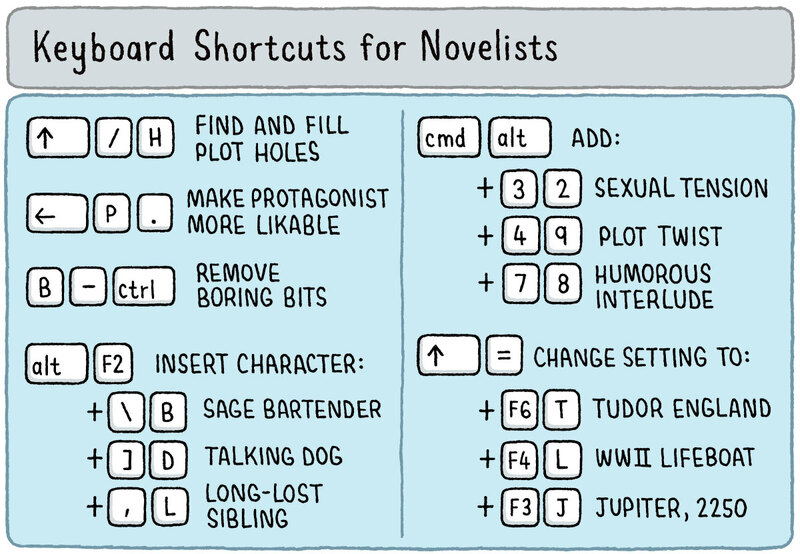 Or how about this technology assist from Tom Gauld in New Yorker Magazine (would they lead you astray?). Everyone is a comedian on this subject. Everyone. It's not clear Kurt Vonnegut was trying to be funny. What say you? Here's a view down at the sentence level. Funny, or not? Can you top these ideas? Leave a comment. 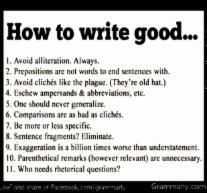 Be grammatical, please. Theorem: Horses have an infinite number of legs. Lemma: All horses are brown. Proof is by mathematical induction. Inductive hypothesis assumes true for N horses. Let A be a set of N horses. Let B be the set of all remaining horses. Remove one element, a, from A, and one element, b, from B. Put b in A, ie, form set C = A-a+b. C has N elements. By the inductive hypothesis, all elements are brown. Hence, b is brown. Now consider the set C= A+b. This set has N+1 elements, and all members of C are brown. Thus, assuming true for N leads to the conclusion true for N+1. Hence, by mathematical induction, all horses are brown. Now, consider, the main theorem as two cases. Case 1, horses with four legs in front and two in back. That’s an odd number of legs for a horse to have. However, 4+2=6, is an even number. 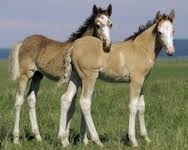 Hence, all horses in Case 1 have both even and odd number of legs, hence they have infinitely many legs. Case 2, all other horses. Now, that is a horse of a different color, which, by the lemma, does not exist. Ergo, all horses have infinitely many legs. 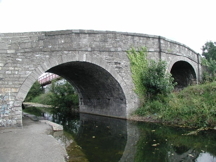 There is a bridge in Dublin Ireland, famous for recording the inspiration of Sir William Rowan Hamilton. Sir William was strolling across the bridge on October 16, 1843, when his eureka moment produced the definition of the mathematical objects called “quaternions.” He spent the rest of his life investigating them, and hoped they would catch on. Although many theoreticians have puddled around with them, see “The Road to Reality,” by Roger Penrose, for example, they have remained a powerful- looking byway. Nevertheless a plaque has been placed on the bridge to commemorate the event. 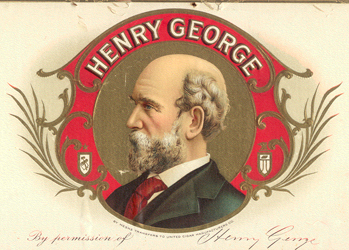 Henry George is best remembered as a proponent of the “single tax” on land. 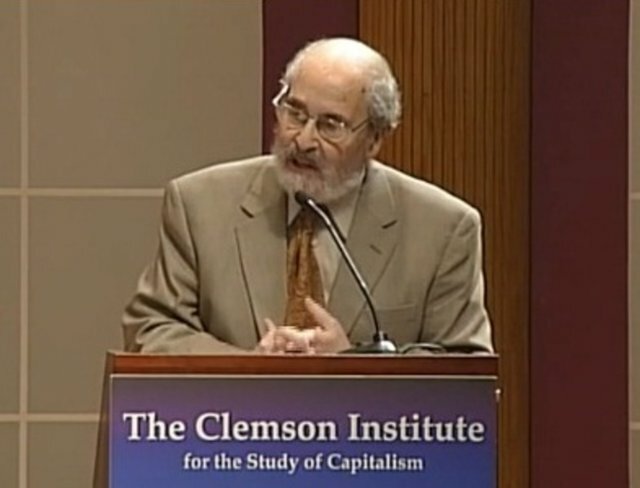 The government should finance all of its projects, he argued, with proceeds from only one tax. This single tax would be on the unimproved value of land—the value that the land would have if it were in its natural state with no buildings, no landscaping, and so on. George’s idea was not new; it was largely borrowed from David Ricardo, James Mill, and John Stuart Mill. Born in Oxford, England on 1919, Venetia Burney is the great neice of Henry Madan who is credited with naming the two moons of Mars -Phobos and Deimos. One morning, on March 14, 1930, at the breakfast table, Falconer Madan read of the discovery of Pluto from the Times of London to his granddaughter Venetia and asked her to suggest a name for it. 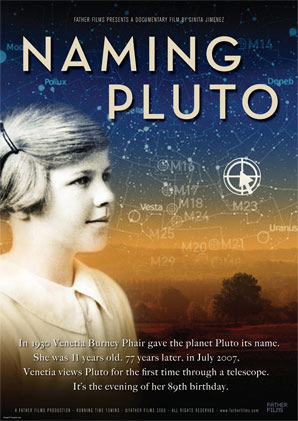 Knowledgeable in astronomy and mythology and of the initials of astronomer Percival Lowell who looked for the planet, she suggested the name Pluto, which Falconer immediately liked and forwarded to the Lowell Observatory through an astronomer. The name stuck and was officially made public on May 1st, 1930, and Venetia became a celebrity. The American Mountain Men is an association of individuals dedicated to the preservation of the traditions and ways of our nation's greatest, most daring explorers and pioneers, the Mountain Men; to the actual conservation of our nation's remaining natural wilderness and wildlife; and to the ability of our members to survive alone, under any circumstances, using only what nature has to offer. There is a museum, facebook page and even a glossary. There is also included a reference library, although we saw no mention of John L. Hatcher. Hatcher is mentioned on another Mountain Man website that seems unrelated to the Association. 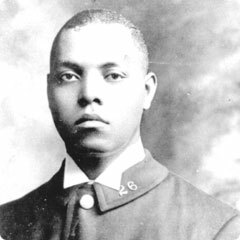 Samuel Jesse Battle (1883-1966) was the first black police officer in the city of New York. After attending segregated schools in North Carolina, Battle moved north, first to Connecticut, then to New York City, where he took a job as a train porter and began studying for the New York City Police Department civil service exam. He was sworn in on March 6, 1911. He joined the force in 1911, assigned first to San Juan Hill, the neighborhood where Lincoln Center is today, which preceded Harlem as one of the key African-American neighborhoods in Manhattan. He was soon moved to Harlem, as the African-American population there grew. He would later become the first African-American police sergeant (1926), lieutenant (1935), and the first African-American parole commissioner (1941). His biography was published in 2015, “One Righteous Man: Samuel Battle and the Shattering of the Color Line in New York," by Arthur Browne. "The New Yorker," magazine, ran a feature on him in 2015. Battle recorded an oral history in 1941. Black Past.org, features this article about him. George Caleb Bingham was a Missouri artist and politician. During his lifetime, he was known as “the Missouri Artist.” Painting his most significant pieces between 1845 and 1860, Bingham produced many remarkable drawings, portraits, landscapes, and scenes of social and political life on the frontier. He was also active in civic affairs and contributed to the political life of Missouri before and after the Civil War. See some of his work here. Sir Thomas Browne (19 October 1605 – 19 October 1682) was an English polymath and author of varied works which reveal his wide learning in diverse fields including science and medicine, religion and the esoteric. Browne's writings display a deep curiosity towards the natural world, influenced by the scientific revolution of Baconian enquiry, while his Christian faith exuded tolerance and goodwill towards humanity in an often intolerant era. Browne's literary works are permeated by frequent references to Classical and Biblical sources as well as the idiosyncrasies of his own personality. Although often described as suffering from melancholia, his writings are also characterized by wit and subtle humor, while his literary style is varied, according to genre, resulting in a rich, unique prose which ranges from rough notebook observations to polished Baroque eloquence. Here's what the University of Chicago says, and this the University of Oregon. Here's a review of Reid Barbour's bio. A new biography is reviewed by The Telegraph. Finally, check out some Thomas Browne quotes. Sir Nicholas Winton helped over six hundred children escape the Nazi holocaust during World War II. Read more about him and how he accomplished this feat. He recently passed away. A petition was sent to the Nobel Committee urging award of their Peace Prize. He has been the subject of many stories. His story remained untold for generations until his scrapbook came to light. Of course, there is a Facebook page. Doctor Patricia Crone was a scholar and historian who studied the origins of Islam. For much of her career she worked from the Institute of Advanced Study in Princeton. She died July 11, 2015 and left a legacy of original research and thinking on one of the most significant cultural developments of the last two millennia. Her story is summarized in several obituaries: Open Democracy, IAS, The Economist, and The New York Times. Her most controversial book is, Meccan Trade and the Rise of Islam. Others can be found on Amazon. Duncan Tuck is a singer, instrumentalist, humorist who performs mainly on cruise ships. If you have a chance to see him, don’t miss it. He also has some CD’s, and they are very enjoyable, even though his rich voice and antic humor don’t translate completely through the electronics. You can see a sample on You Tube. He's on Facebook, of course. ITunes carries his work. Comedy Central has a page for him. Bandbox did an interview. The El Paso Times did another interview. Geraldo deSouza is an artist of bow ties. He will read your aura and select the tie for it. You will instantly realize his selection is perfect, and everyone who sees you will agree. Not that there is only one tie for you. He will find an array of selections and each will be as perfect as the first. He will also tell you about his journey to bow tie ascendancy and you will be better for hearing it. If you don’t have one of his ties, you’re still in the “before deSouza” stage of your life. If you do have some, you’d better have another. He was interviewed in Syracuse. He can show you how to tie a bow tie. CNN did an interview. The next time you’re at an art show, look for the philosopher with a ball peen hammer. He’ll ask you what time it is, and then give you the answer, “It’s half past the ancestors, and now it’s on you.” Chester Allen is a silversmith who brings his vision of the human experience into the material world with his hands and soul. Don’t bother trying to resist. You’ll have to take something home with you. Catch his work if you visit New Orleans. He loves to talk about his work. Here is another sampling. Here he is in ZoomInfo. Man’s work begins with his job; his profession. 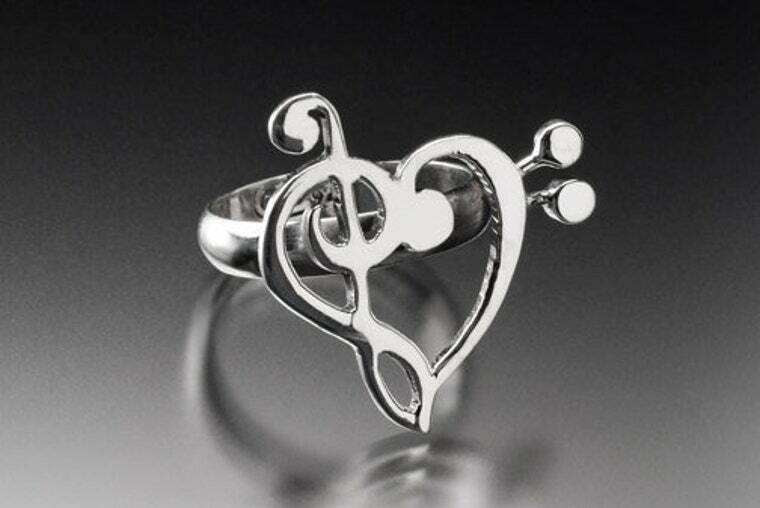 Having a vocation is something of a miracle, like falling in love. I can understand why Luther said that a man is justified by his vocation, for it is proof of God’s favor. But having a vocation means more than punching a time clock. It means guarding against banality, ineptitude, incompetence, and mediocrity. A man should strive to become a locus of excellence. . . .
Man has a large capacity for effort. In fact it is so much greater than we think it is that few ever reach this capacity. We should value the faculty of knowing what we ought to do and having the will to do it. Knowing is easy; it is the doing that is difficult. The critical issue is not what we know, but what we do with what we know. The great end of life is not knowledge, but action. . . .
To seek and accept responsibility, to persevere, to be committed to excellence, to be creative and courageous, to be unrelenting in the pursuit of intellectual development, to maintain high standards of ethics and morality, and to bring these basic principles of existence to bear through active participation in life—these are some of my ideas on the goals that must be met to achieve meaning and purpose in life. 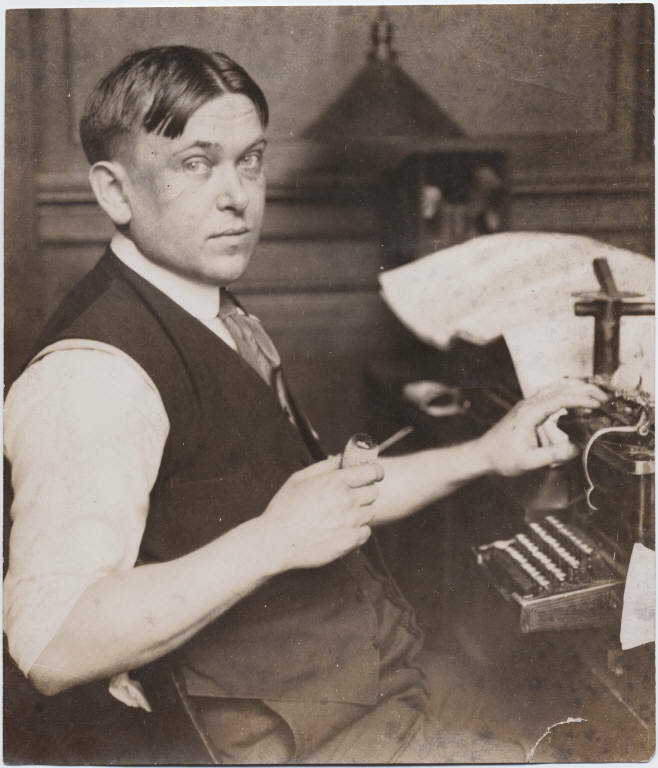 H. L. Mencken flummoxed Americans of his day, and others to this day. In response to those of the lost generation who were expatriating to Paris after WW I, he once famously explained why he was not following them. Within his, “On Being American,” he included this oft quoted description of his personal affection for the country. The New York Public Library just digitized and made available 672,186 items, which the public can download for free.The images come from pieces in the library's collection that have fallen out of copyright or are otherwise in the public domain. This includes botanical illustrations, ancient texts, historical maps—including the incredible Green Book collection of travel guides for African American travelers in the mid-1900s. They've also released more than 40,000 stereoscopes, Berenice Abbott's amazing documentation of New York City in the 1930s, and Lewis Hines' photos of Ellis Island immigrants, as well as the letters of Alexander Hamilton, Thomas Jefferson, and James Madison, among other political figures.One of the related projects they've created with this release is a cool visualization tool that lets you browse every item released. The received wisdom is wise until it isn’t. The existence of the hypothetical planet Vulcan was the received wisdom for half a century (cited in text books, and so forth), but by the time Einstein came up with a better reason for the Mercury precession phenomenon, Vulcan had become an embarrassment. Wisdom went from something everyone knew, to something no one talked about, to it’s current state: something no one much remembers. It’s a fascinating story. Since 2015 is the century mark for Einstein's theory of General Relativity, his calculations accounting for the long-puzzling wobble in Mercury's perihelion are again in vogue, and that has led to a remembrance of the previous explanation, a missing planet called Vulcan. Since 1977 Lake Superior State University has been a quiet partisan in the Obfuscation Wars. They’re opposed to it, and their weapon against the forces of bloated, senseless, and high-sounding discourse is an annual list of banished words. The lists are instructive, and we recommend screening all compositions against them, to be sure the banned expressions are used correctly. To help, we are submitting a series of short-short stories, less than 600 words, to commemorate each list. The picture is linked to the lists, and the stories will be linked in soon. If you'd like to submit a story for a particular list, send it to the email address here. 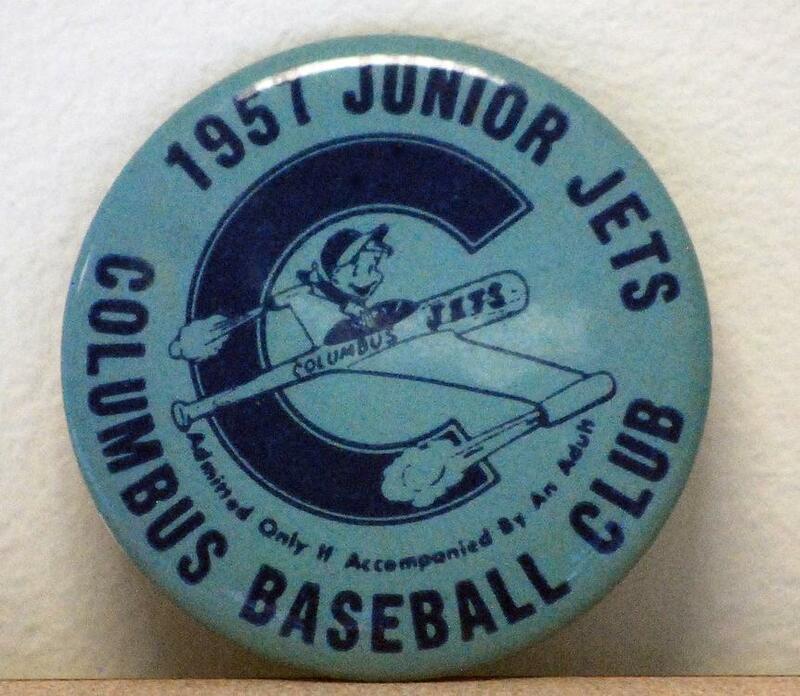 Bob Greene recently wrote an article for the WSJ and Financial Journal, about his childhood in Columbus, Ohio, and its association with the Columbus Jets, a minor league affiliate of the Pittsburgh Pirates, from 1955 until 1970. His recollections of Pidge, Whammy, Spider, and other heroes of his baseball youth, and the promotional device called “Jet Badges,” at left, live in that golden glow of youthful summertime rationed from our memories as we grow old. To wonder about the passing of such remembered moments, and the life-after, different than the afterlife, of its principals, is beyond nostalgia. It is not pursuit of familiarity, nor yearning for something past, nor imagining of lost purity. It is a realization of self, of essential personal identity, casked and aged like vintage wine. Mr. Greene is not alone in preserving something personal with memories of the Columbus Jets, and by association, the summer of youth. Charles Christopher “Charlie” Parker Jr., known as Bird, sprouted from the Kansas City jazz world, a seed plot of musical innovation. His particular musical genius is said to have once prompted famed bandleader Cab Calloway to shout, “No more Chinese music!” Bird wasn’t intimidated. Instead he revolutionized the harmonic and melodic structure of jazz, creating, with Dizzy Gillespie, what came to be called bebop, or bop. 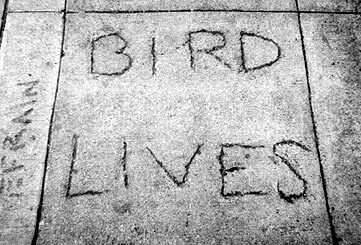 Most jazz saxophonists since have tried to begin with Bird and go from there, but most don’t get to the starting line, because emulating Bird doesn’t capture his genius. 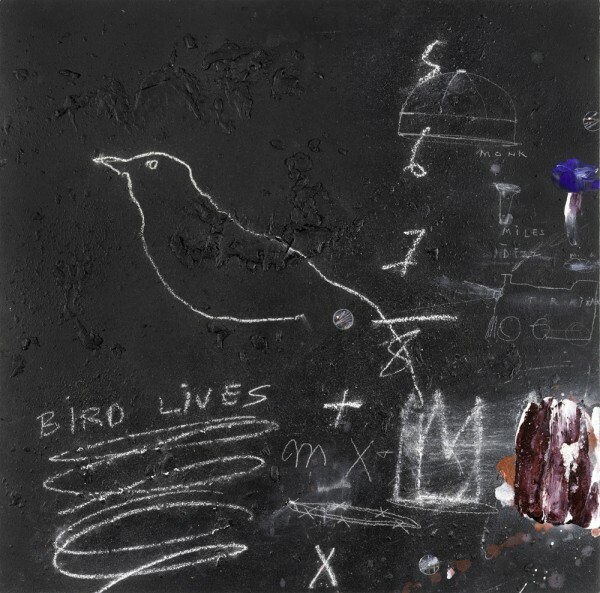 The big news recently is release of previously unreleased recordings, Unheard Bird, outtakes and alternative versions collected from recording sessions. You can read all about it, or sample the recordings. He died young, of course. Tragedy was destiny, and his destiny is to live on. 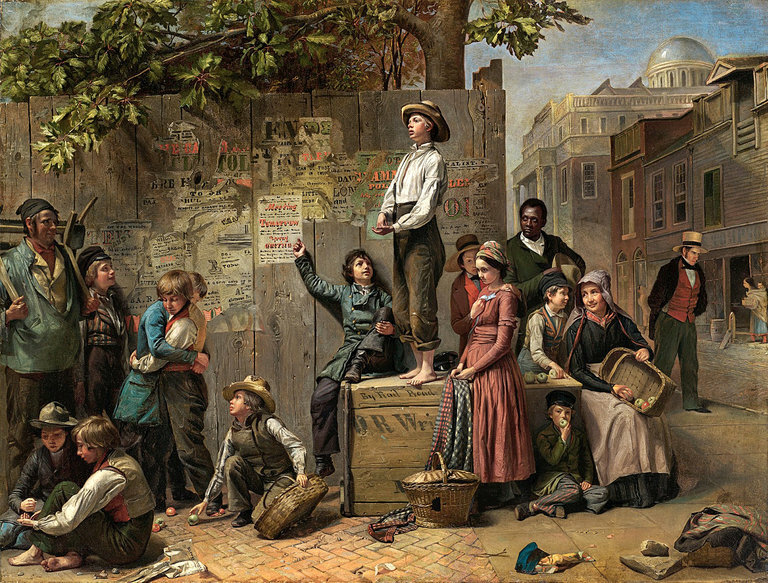 Political campaigns, in particular presidential campaigns, in nineteenth century America evolved through stages of sophistication, and levels of emotional engagement. At first the notion of organizing politics into factions, political parties, was considered undesirable. That didn’t last long, barely outliving George Washington, the man who cautioned against it. 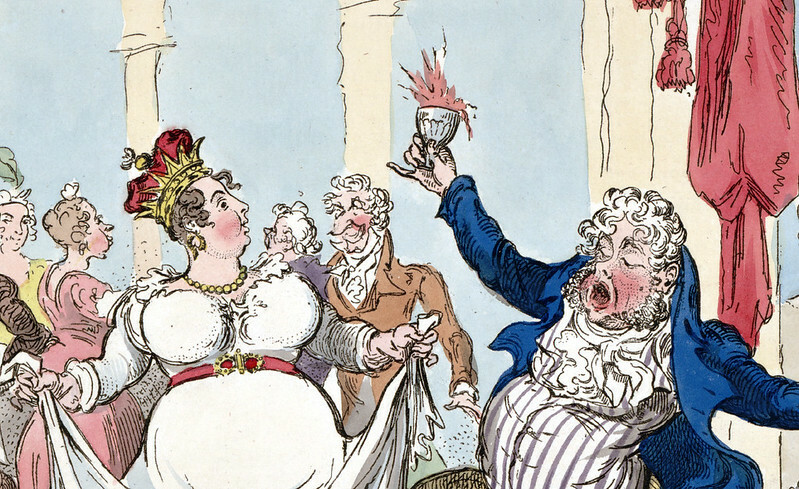 For much of the century politics was entertainment. People advocated principle, of course, but there was a local-team partisanship. While emotionally volatile, politics seems to have been viewed much like a wrestling match, exciting, intensely important, but in a realm apart from daily living, which, by modern standards, was grim, indeed. Now comes a book detailing the activity of young people in politics. Does it sound a lot like current youthful preoccupation with celebrity and pop music? Should we look back to that time with nostalgia, or fear it might return? 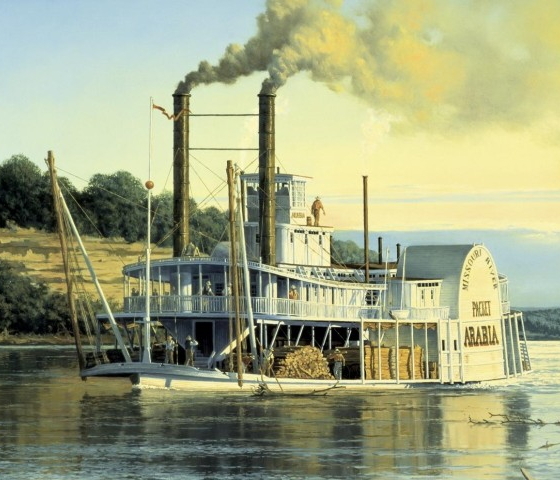 It was 1856, 45 years after Robert Fulton launched the first steamboat from Pittsburgh, 7 years after gold discoveries in California, contemporary with the “Bleeding Kansas” slavery troubles and the Mormon migration, and 5 years before the Civil War. Another steamship from the Pittsburgh shipyards, Arabia, hit a submerged walnut tree on the Missouri River, and sank. The Missouri, fickle and wayward, shifted half a mile east, leaving the Arabia in Kansas farmland, eventually burying the remains beneath tons of thick mud. In 1989 it was discovered in a Kansas cornfield. The Arabia Steamboat Museum, Kansas City, Missouri, houses the recovery efforts, displays the 200 tons of artifacts, and tells the story. River Salvage Inc. has discovered 9 other Missouri River wrecks, and is now planning recovery of the Malta, near Carrolton, Missouri. The Spanish publishing house, Siloe, has been given permission by Yale University to publish a limited number of facsimile copies of the Voynich Manuscript, so called since Wilfird Voynich, Polish book dealer, purchased it in 1912. It is a hand-written codex on vellum that was carbon dated to around 1404-1438. It features apparent language in an unknown writing system. The paints are of the materials expected from that period. Ownership has been traced to Georg Baresch (1585-1662), a Czech alchemist, through a letter he wrote to a Jesuit translator in 1637. The codex also features botanical illustrations of peculiar plants. The Voynich manuscript has been extensively studied but no translation has been offered. Perhaps you'd like to take a crack at decoding it. It has been declared the most difficult code ever seen. Some have thought they'd figured out a few words, but no one really believes them. You could become famous. Click the picture for a PDF look at Yale's most famous codex. Or perhaps you'd rather watch others theorize. Youtube has everything. Now, comes the San Francisco Historical Photographic Collection in the form of street views of Old San Francisco. Dan Vanderkam and Raven Keller have organized the collection of old photographs (1850 to present) onto a map of San Francisco. 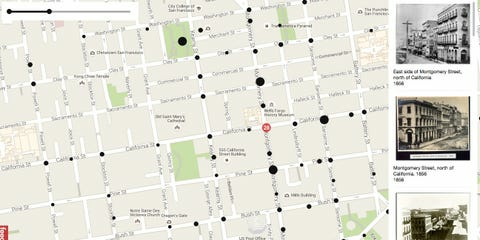 Take a look at the street view, or if you prefer, you can browse the total digitized photo collection. Or for the video addicted, here are a couple of videos about San Francisco History. "Science Advances" discussion of reading the En-Gedi scroll. In about the year 600 CE a fire destroyed the village, and temple, of En-Gedi, situated about 30 miles SE of Jerusalem on the western shore of the Dead Sea. Inside the temple was the community’s Holy Ark, containing its Pentateuch, which itself dated from about the third or fourth century CE. The charred scroll was rediscovered by archeologists in 1970, and is now being scanned and virtually unrolled by software techniques that allow it to be read for the first time in 1700 years. The first decoded lines, from the book of Leviticus, offer a glimpse into the earliest known history of biblical text. 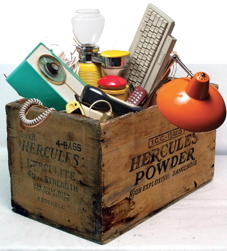 The process used for the virtual restoration holds great promise. There are many ancient scrolls, including the more famous Dead Sea scrolls, too fragile to be physically unrolled. The noninvasive technique for reading “closed books” may also have application in many different areas. Ibrahim Maalouf plays a 4-valve trumpet (usually a 3 valve instrument) to access the quarter tones, called “makams” in Arabic music, between the notes of the normal twelve-tone, half-note scale. 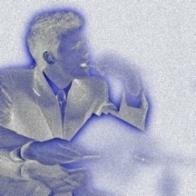 He believes it gives him a truer path to the blue notes of American jazz. Maalouf trained as a classical trumpeter, and taught himself how to play jazz(not that unusual for a jazz musician). He’s not the first to make this plumbing change, but his innovation is notable because his music is a fusion of jazz and eastern sounds, which use the quarter-tone structure more freely. His father, classical trumpeter Nassim Maalouf, is recognized as the pioneer of the “makam” trumpet. Jazz and blues trumpeters normally achieve the quarter-tone blue notes by “bending” the note, which means altering the embouchure slightly, tightening or loosening the vibrating lips, to alter the tonal frequency. I’m guessing most trumpeters who "bend" notes will have many reasons why they prefer it to a fourth valve, but the extra pipe seems to suit Mr. Maalouf’s east/west fusion. No cause, ever, in the history of all mankind, has produced more cold-blooded tyrants, more slaughtered innocents, and more orphans than socialism with power. It surpassed, exponentially, all other systems of production in turning out the dead. The bodies are all around us. And here is the problem: No one talks about them. No one honors them. No one does penance for them. No one has committed suicide for having been an apologist for those who did this to them. No one pays for them. No one is hunted down to account for them. It is exactly what Solzhenitsyn foresaw in The Gulag Archipelago: "No, no one would have to answer. No one would be looked into." Until socialism—like Nazism or fascism confronted by the death camps and the slaughter of innocents—is confronted with its lived reality, the greatest atrocities of all recorded human life, we will not live "after socialism." 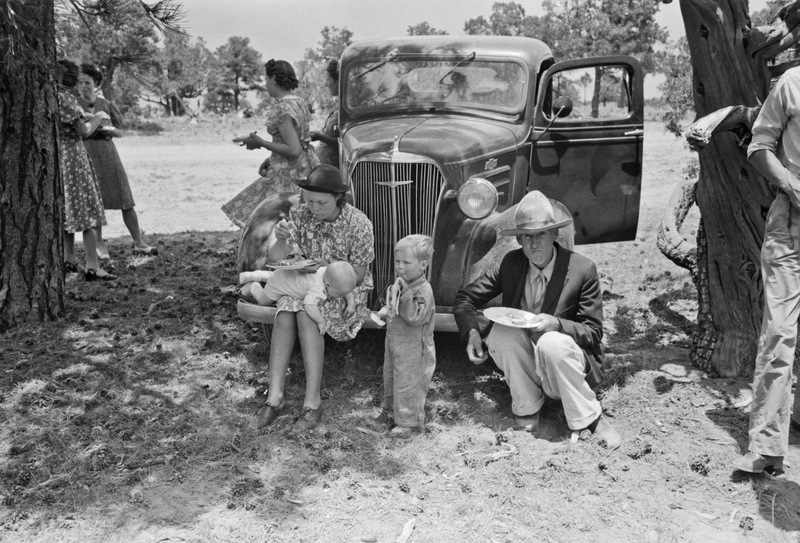 Link to the blog titled, History in Photos. A collection of old photographs from all over the world and since the invention of photography.